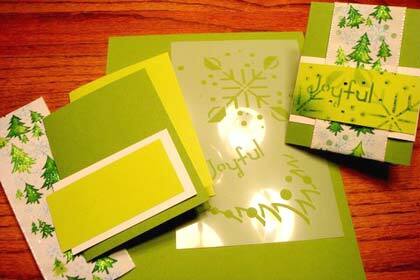 Each order I receive between December 1 and December 23 will include the above card making kit. In addition to the items you order, you will also receive the cardstock pieces, ribbon, stencil, an instruction sheet and a personal thank you from me. Happy Holidays!